Have them racing to the party! 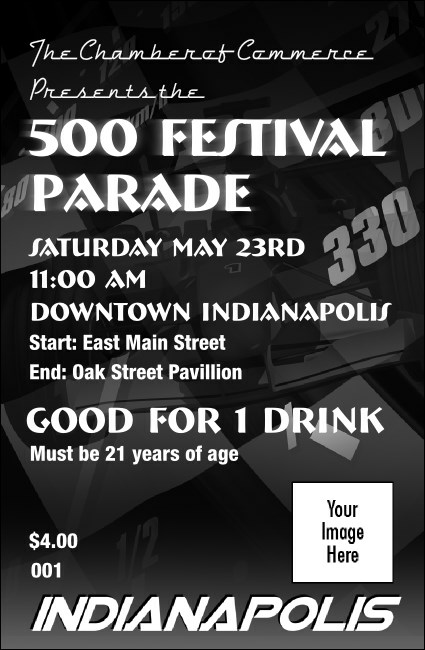 A speedometer provides the background for the fun and festive black and white Indianapolis Drink Ticket! Your bartenders are lucky that no one will be issuing speeding tickets for how fast they pour the refreshments when you sell so many drinks ahead of time! Take some laps around the gallery at TicketPrinting.com! There’s a great matching event kit to go with this design.